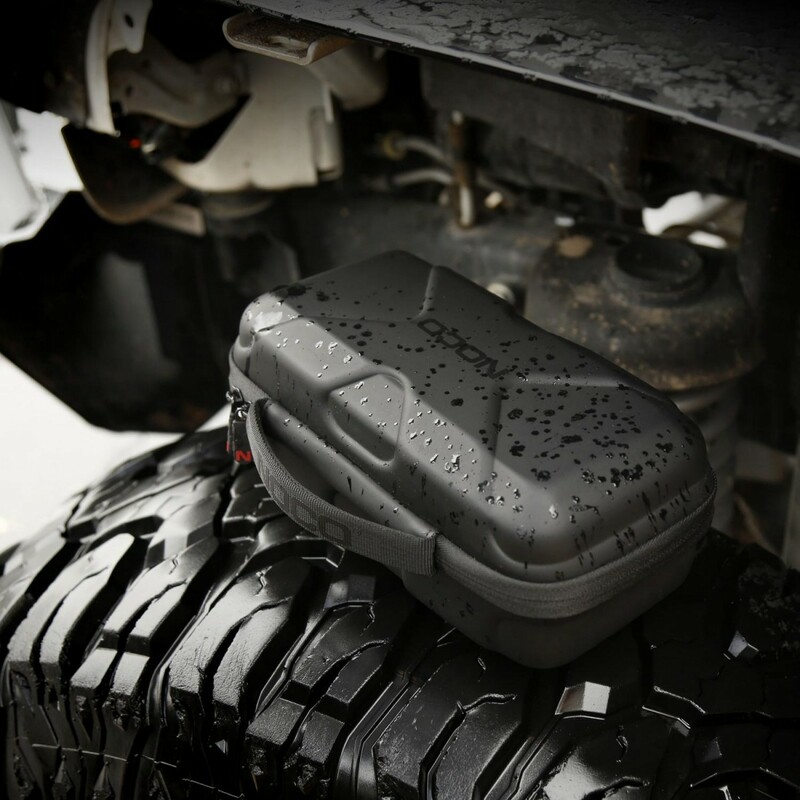 The lightweight, durable, and rugged GBC017 EVA Protective Case has a semi-rigid custom exterior with zipper closures and a reinforced handle. 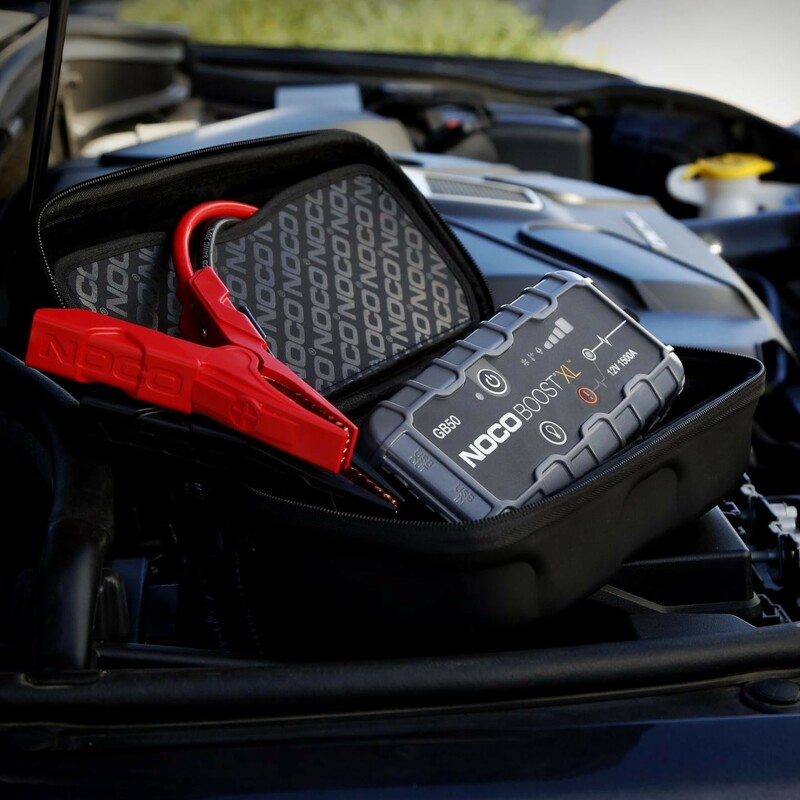 The rubberized EVA exterior offers protection from moisture, impact, dust, and other environmental factors, while the molded interior perfectly fits, stores, and protects its corresponding NOCO Genius UltraSafe jump starter— the GB50 (sold separately).The GBC017 case has additional pockets for carrying related Boost accessories (sold separately). 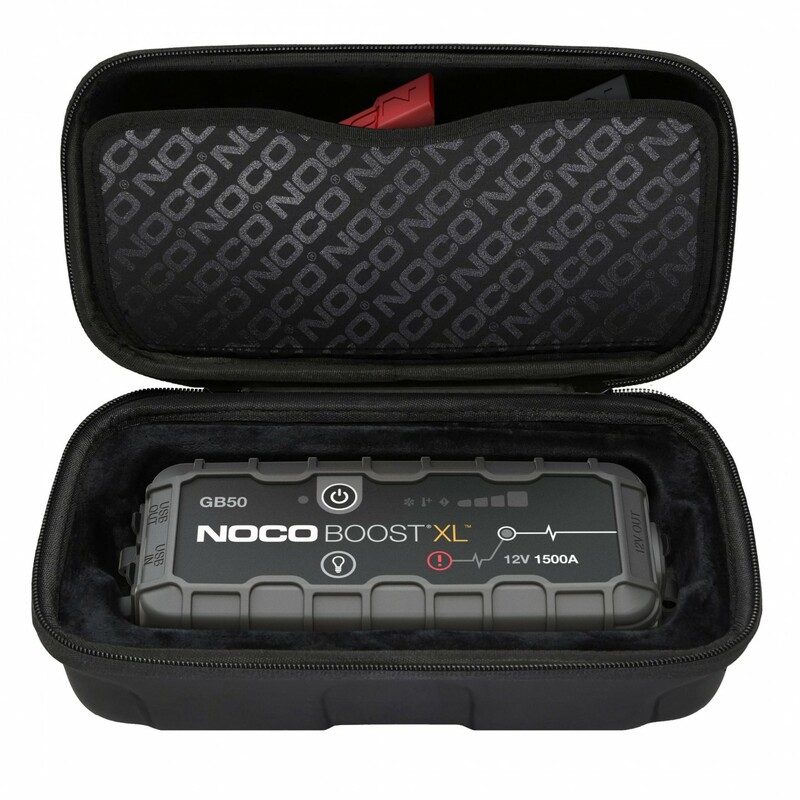 Store the protective case easily in your trunk, vehicle, console, or garage. 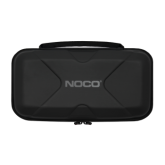 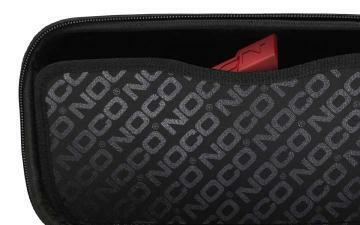 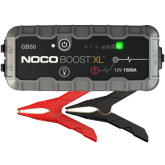 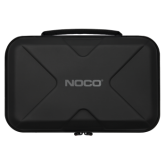 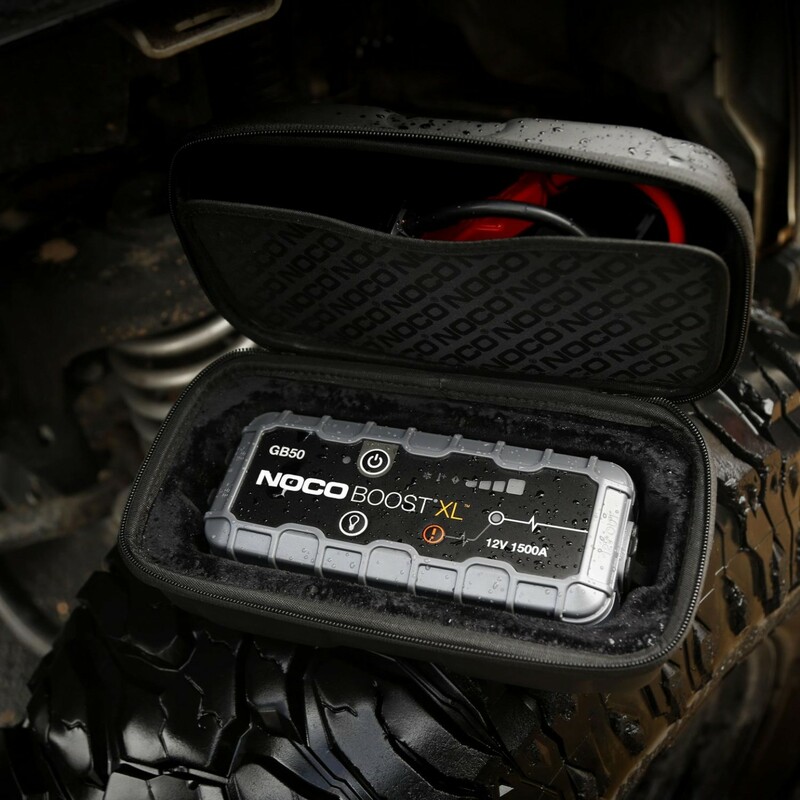 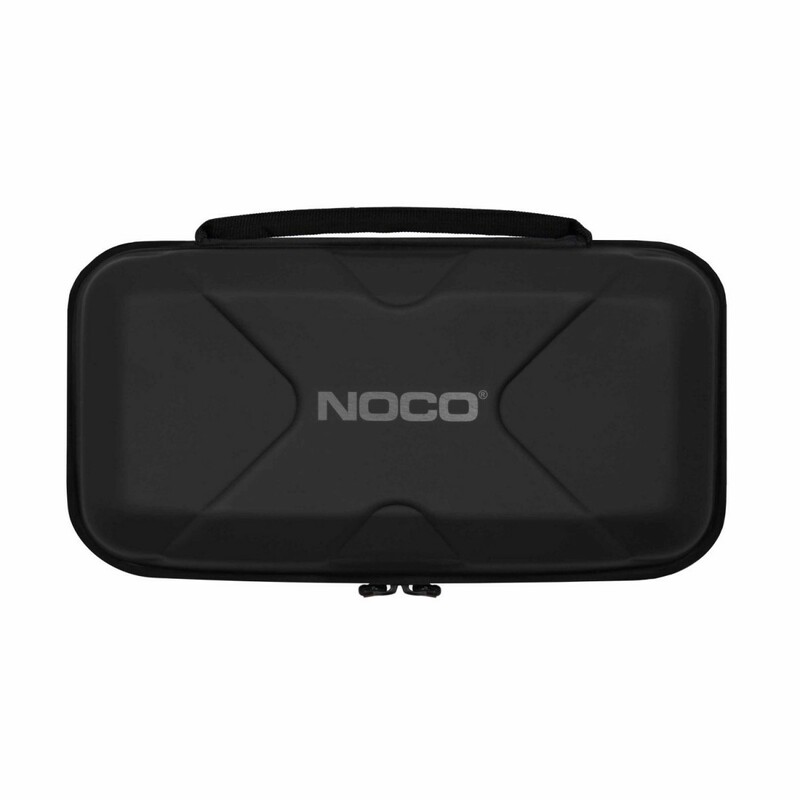 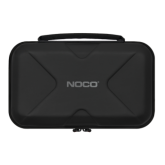 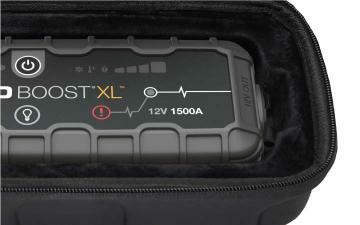 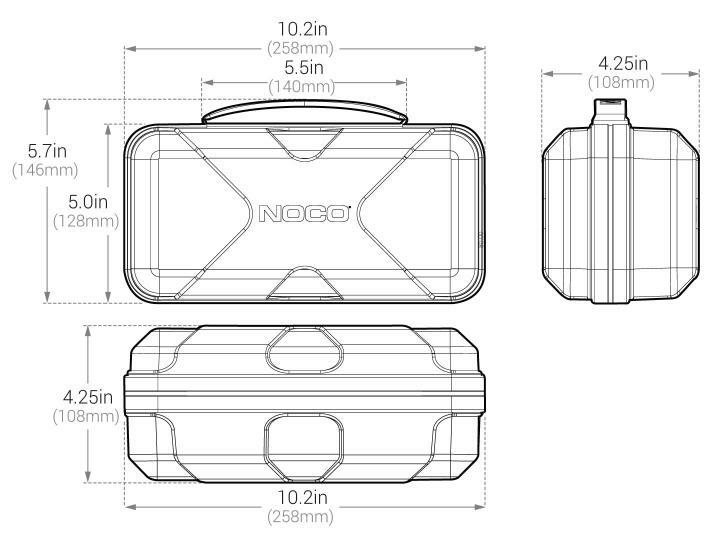 Fits the NOCO Boost GB50 UltraSafe Jump Starter (sold separately). 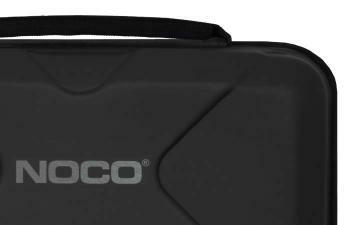 Carry your GB50 Boost, its clamps, and any additional accessories all together in the GBC017 Protective EVA Case (Boost & Accessories sold separately). 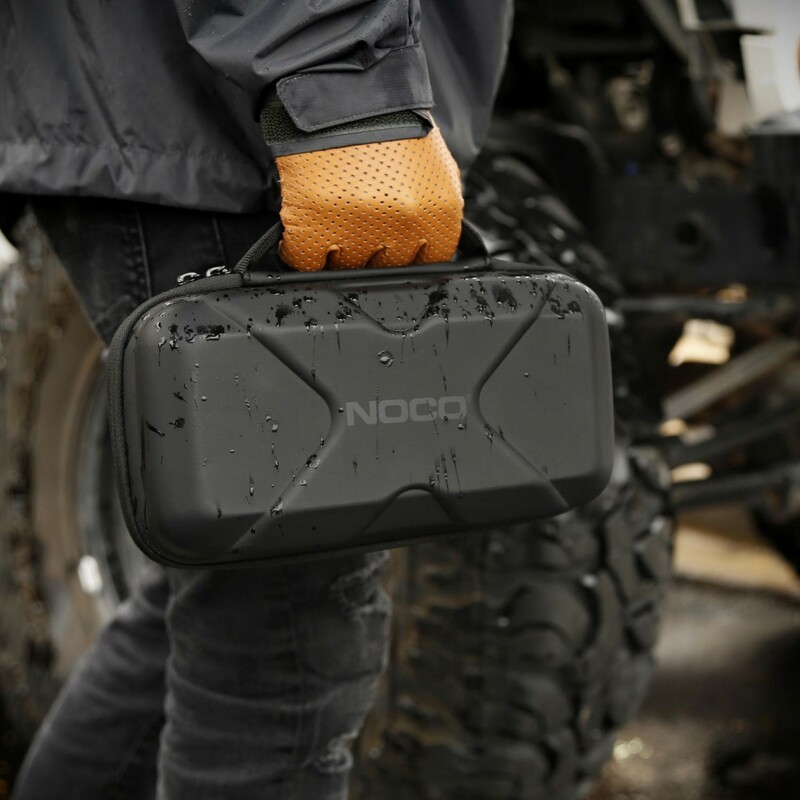 Made of thermoformed EVA, the GBC017's lightweight and durable molded exterior has a water resistant, rubber-like finish. 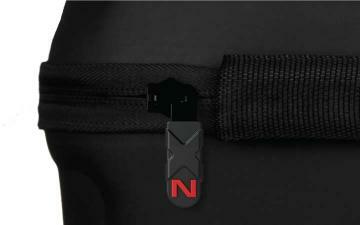 Heavy-duty reverse coil zippers with a built-in reinforced handle and custom over-molded pull tab. 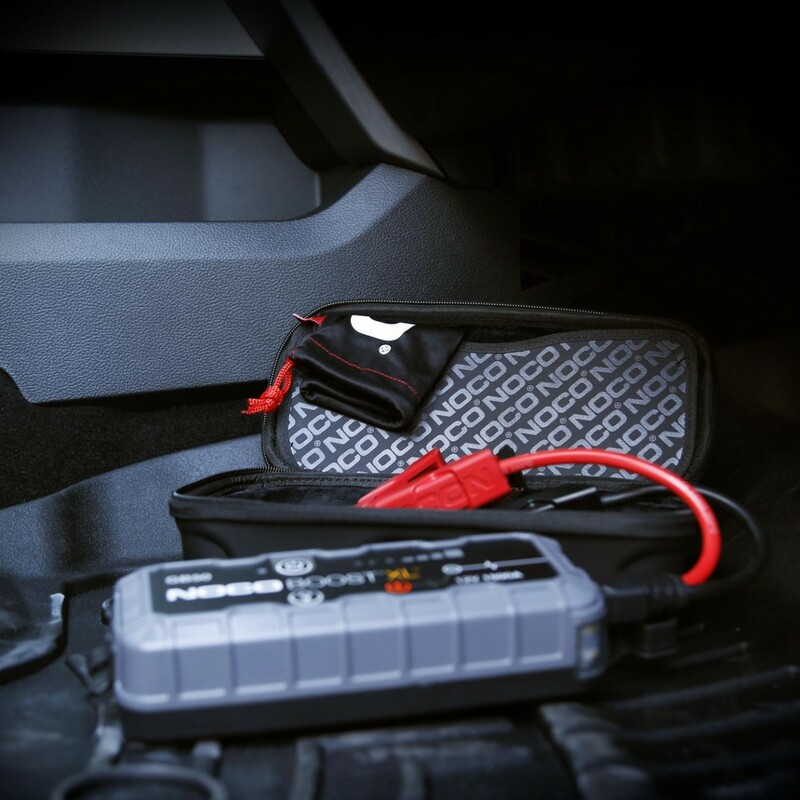 The GBC017 offers protective storage without demanding too much extra space from your trunk, console, vehicle, or garage. 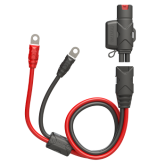 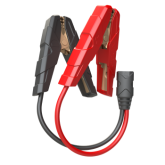 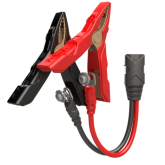 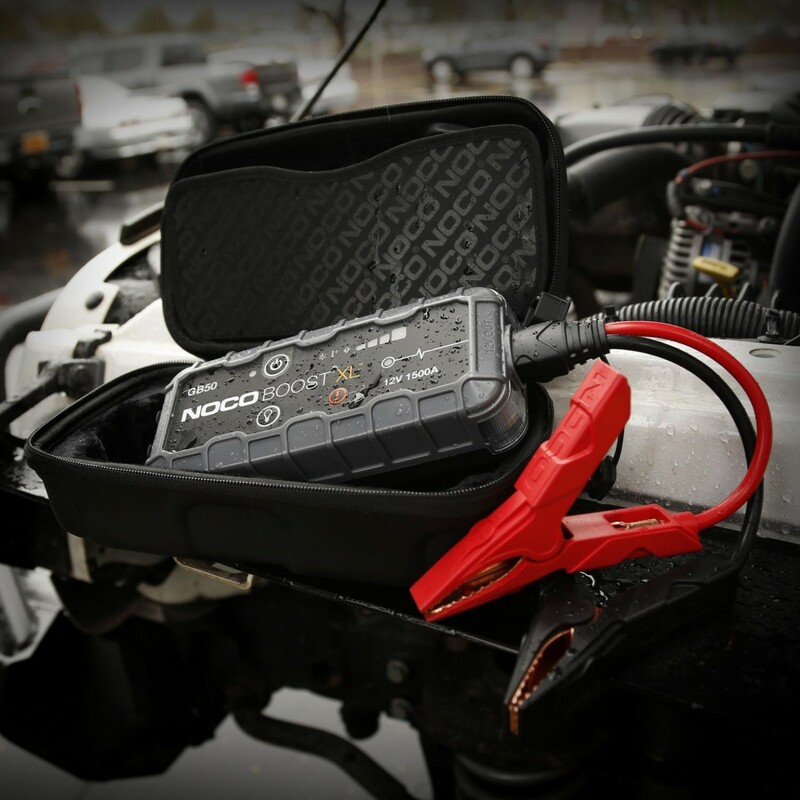 Less than a foot wide, its compact design fits your jump starter and additional accessories.